USB OTG or the OTG cable is also known as USB On-The-Go cable is the cable which allows USB devices to act as a host which further allows USB devices to be attached with them. The OTG cable is generally used extend the device’s functionality, which allows you to transfer the data from the smartphone to Pen Drive and vice versa. But, there are other interesting uses of the OTG cable which we will figure out in the article below. You can connect the external hard drive to your smartphone with the help of OTG cable. Once the external hard drive is connected, you can easily access all the files on your smartphone. Also, you can transfer the files from phone to the external storage and vice versa with the help of OTG cable. You can connect the USB based LED light with your Android phone to light up the LED. Through OTG cable, you can even connect the LED flashlight to capture images at night if your phone doesn’t have front flash feature. You can transfer the contacts, messages and call logs between two Android phones through SmartSwitch App from Samsung and OTG cable. This method of transferring is easy and useful. Also, it consumes less battery. If you want to connect your camera with the Android smartphone, then you can connect it using the OTG cable. Also, you don’t have to connect a camera with the computer if you want to clear few pictures through your Android device. USB fans work with the electric charge, but you might have seen Laptop cooling pads which are connected to the device with the help of USB cable. So similarly, you can connect the USB fan with the Android device through an OTG cable. You can connect wired Internet or the Ethernet on your Android devices using the OTG cable. If you don’t have access to the Wi-Fi or the mobile data then connecting your Android phone with the Ethernet is useful through an OTG cable. If your Android phone doesn’t support MicroSD card, then you can connect the card reader with your phone through an OTG cable. You should have OTG Plus Card reader, which will allow you to connect the MicroSD card with any Android device. 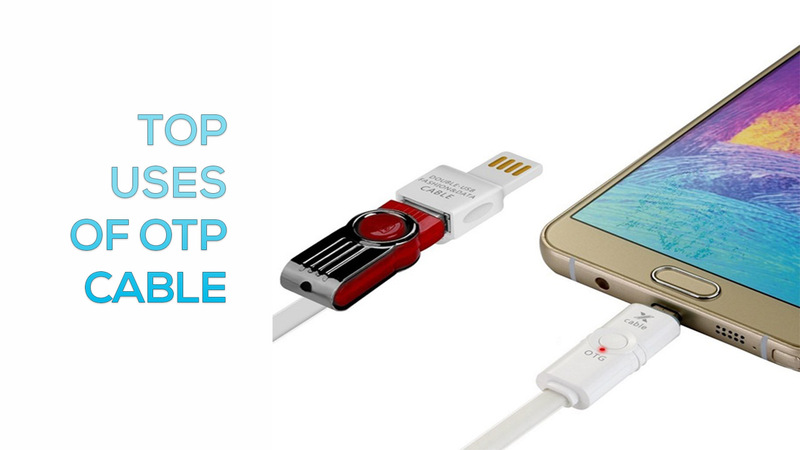 You can charge your Android phone with the help of another Android phone through an OTG cable where the USB host will help you to charge the phone. This is the helpful technique if you want to charge your phone in the emergency. You can connect the game controller with your Android device through OTG cable. Many Android games support external gamepad, and you can connect an external game controller through the OTG cable. You can connect the broadband internet with the Android phone with the help of LAN to USB controller and OTG cable. You can connect the keyboard and mouse with your phone with the help of OTG cable, which is very useful to exchange the messages through keyboard and mouse. You can connect the Printer and Android phone with the help of OTG cable to print the documents. You have to install the app called PrintShare which will download the USB drivers on your Android phone. You can connect the musical instruments with PC through MIDI standard cable. But, you can connect the modern musical instruments with your Android phone through OTG cable and create music of your choice. You can connect the external microphone with your android phone via an OTG cable to record audio on your Android phone. This feature is useful for the YouTubers. You can use Chromecast or HDMI cable and OTG cable to connect your phone to TV or LED in the USB port. You can mirror your Android screen with the TV and can watch any movies or play audios. So, these are the features which can be used to connect your phone with the OTG cable with other devices.